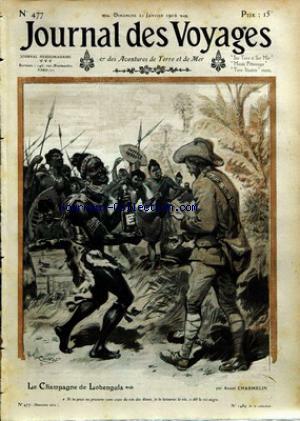 LE CHAMPAGNE DE LOBENGULA PAR CHARMELIN – BOUSSENARD – LETURQUE – MAXIMOV – THIERRY – NORMAND – LE TANGUIN A MADAGASCAR. 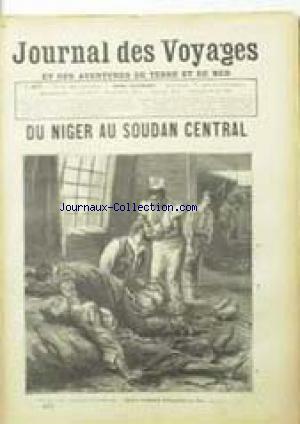 Partager la publication "JOURNAL DES VOYAGES no:477 21/01/1906"
VOYAGE DANS L’AFRIQUE EQUATORIALE – VINTRAUT – CASTELLI . Partager la publication "JOURNAL DES VOYAGES no:477 29/08/1886"